How realistic are plans for the Philippines to acquire submarines? During a modernization briefing on December 17, Philippine Navy (PN) vice-chief Rear Admiral Caesar Taccad revealed future plans to acquire at least three submarines, as part of a follow-up to the ongoing 15-year P90-billion Armed Forces of the Philippines (AFP) modernization program. The South China Sea disputes are no doubt a key motivation, when the rear-admiral remarked that “the events in the West Philippine Sea actually gave some urgency on the acquisition,” referring to the overall PN plan to purchase new assets, including a ten-year timeline for submarine purchase. The PN’s 15-year Strategic Development Plan, revolving around the “Philippine Fleet Desired Force Mix” envisages a surface, sub-surface and aerial assets including major “big-ticket items” such as six anti-air warfare-oriented frigates, 12 corvettes optimized for anti-submarine warfare (ASW), 18 offshore patrol vessels, three submarines, three mine countermeasures vessels, up to four Strategic Support Vessels (SSVs), up to eight Amphibious Maritime Patrol Aircraft, and 18 naval helicopters equipped for ASW. Not counting a significant number of coastal patrol assets, fleet auxiliaries and other aerial support platforms. If all purchase options are to be exercised, a sustained long-term funding commitment is required. In May 2012, the PN authorities remarked that the upgrade will cost P500 billion ($11.1 billion). It is not certain whether the plan can survive the incumbent Aquino administration, which has thus far demonstrated zeal in propelling modest but nonetheless significant acquisitions (within available fiscal means), including two new-build SSVs and two former U.S. Coast Guard cutters. Among the assets desired, submarines would be ideal sea denial assets to deter China’s moves against Manila’s South China Sea interests. But assuming China is the foremost adversary in mind, the submarine acquisition will not necessarily be a game changer. Still, while three submarines cannot plausibly alter the naval balance of power in the contested waters, they may potentially complicate Chinese naval planning. Also facing significant force asymmetry with China, Vietnam’s submarine purchase in 2009 was undertaken with a similar approach. The only question is whether sea denial alone is sufficient. Manila needs to do more than just ensure continuous access to its garrisoned Spratlys features for resupply and reinforcements. In the event of hostilities, the Philippines would need to have the capability to recapture features seized by adversarial forces. The Philippine maritime services, which collectively include the Navy, Coast Guard, National Police, and Bureau of Fisheries and Aquatic Resources, face a more immediate challenge of unfriendly coast guard-type actions backed by naval surface forces in Philippine-claimed waters. What these services need are more surface assets possessing high endurance and good seakeeping qualities to allow the projection and sustainment of Philippine maritime presence in where it matters most. In an operating scenario where contending parties endeavor to maintain a visible naval presence to assert sovereignty in disputed waters, submarines have less utility. Remaining surfaced simply contradicts the submarine’s basic design ethos, which is to stay invisible and hidden until the opportune moment comes to surprise the enemy, fire the sub’s weapons, and scoot away unscathed. In peacetime, submarines do have a role in intelligence gathering. A submarine is useful for closely monitoring hostile activities in disputed areas where surface forces are unable to do so, as seen in the case of Vietnamese vessels being blocked by the China Coast Guard from getting too near the HYSY981 oil rig off the Paracel Islands in May 2014. Indeed, unlike surface assets, submarines are more expensive to acquire when one has to consider not just boats but the entire package of training, infrastructure, spares, maintenance, repair and overhaul – all necessitating long-term investments underpinned by political will and fiscal commitments. But it is important to note that these problems are not insurmountable. 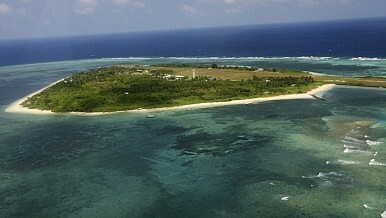 In May 2012, a report published by the Center for a New American Security (CNAS) wrote that the Philippines requires, amongst various modern air and naval assets, “an affordable force of four to six mini-submarines” for credible defense against growing Chinese belligerence in the South China Sea. There are indeed cheaper options on the market if full-sized diesel-electric submarines displacing over 1,000-3,000 tons submerged are beyond reach. Coastal submarines displacing 1,000 tons or less submerged, for instance the SMX-23 built by French DCNS, are available for cost-constrained navies. After all, due to initial budget constraints Vietnam first operated North Korean-built mini-submarines in the 1990s before finally acquiring the larger, vastly superior Kilo class. Second-hand boats could be another possible, cost-effective pathway for the PN to acquire and accumulate sufficient know-how before purchasing newer boats. Singapore first acquired the 1960s-era ex-Swedish Sjöormen-class boats for training before acquiring the newer Västergotland-class and lately, Type-218SG boats to be designed and constructed in Germany. This is an example of an incremental strategy taking into account prevailing fiscal, human capital, and other resource constraints. Finally, Manila may offset some of the expenses by seeking external ancillary assistance, for example agreements analogous to the Indonesia-Singapore and Singapore-Vietnam submarine rescue pacts. On the whole, though, even with external help, submarine acquisition remains a costly, operationally, and technically challenging enterprise that warrants prudent, long-term measures. In fact, back in December 1999, then PN Vice Admiral Luisito Fernandez revealed that the navy created a “core group” to evaluate submarine acquisition by 2010. This announcement came about a year after the Second Mischief Reef Incident with China. But the AFP was then preoccupied with counter-insurgency operations in the Mindanao region. As a result, the land forces received the lion’s share of limited defense funding. Not only was submarine acquisition by 2010 impossible, the bulk of the antiquated Philippine Fleet continued its downward slide into disrepair without major revitalization efforts. But the context today and in the foreseeable future is different. Manila at present has a long PN upgrade wish list but recognizes funding constraints. In recent years, Philippine defense and naval planners had revealed policy thinking that indicated firm commitment to the submarine quest. In August 2011, Aquino noted that the PN was exploring the possibility of submarine procurement. At the time, then PN chief Vice Admiral Alexander Pama expressed caution, calling the plan “a complicated matter” and pointed out that “we don’t want to commit a mistake by jumping into something. As I said, we don’t want to buy something which eventually we cannot chew and swallow.” He said the PN would look into the practicality of purchasing submarines. Even though a lump-sum P500 billion for the PN upgrade is unavailable, it is misleading to call current ongoing acquisitions an ad-hoc effort. The initial phase comprises a combination of new-build and second-hand purchases, such as the AW109 helicopters and cutters which enter service in 2013-15. Successive tranches of funding would sustain follow-on phases, such as a P75 billion AFP modernization program in May 2013 that prioritizes a navy upgrade envisaging two brand-new frigates, two ASW-capable helicopters, and three coastal patrol vessels by 2017. In October 2013, then commander of the Northern Luzon Command Major General Gregorio Pio Catapang reiterated the desire for three submarines as part of the “Philippine Fleet Desired Force Mix.” Catapang stressed the need for military procurements to adhere to national strategic or operational requirements, as opposed to an expedient approach driven by external military aid. In his current capacity as AFP chief of staff, Catapang recently noted the need for the armed forces to become reoriented to external defense. The comment adds impetus to the submarine commitment. Manila’s submarine acquisition is not meant to be mere symbolism. Operational thought has been devoted to conceiving a force size capable of sustainable deployment. If it is impossible to purchase three submarines, Taccad mentioned, the PN would settle for two, so that one boat is deployable while the other is undergoing routine maintenance. The alternative to acquiring submarines, he also noted, would be missile-armed frigates, referring to the new frigates as well as the potential retrofit of missiles on board the existing pair of cutters to serve as a deterrent and backup for patrols against foreign harassment. Judging from what has transpired, a phased submarine plan appears to be in the works. The December 17 revelation of having established a submarine office in 2013, plausibly a follow-up to the “core group” created in 1999, represents the first modest step forward. It is clear that the PN has been paying attention to the submarine and ASW sector, which is logical in view of the regional submarine proliferation. The PN is keen to first acquire an ASW capability in the interim before finally acquiring submarines. This step, together with possible future ASW joint training with close allies who have submarines, would in the near-term give the Filipinos more insights on undersea warfare. In fact, the push for ASW capabilities runs alongside the longer-term project for submarines, as part of the PN’s “Active Archipelagic Defense Strategy.” On several occasions since 2013, the PN has expressed its intent to develop an ASW capability in the long term, in particular shipboard and helicopter ASW. Unprecedented (albeit still modest) efforts were made to realize this. In the first half of 2014, the PN announced its aim of acquiring two ASW helicopters, having allocated P5.4 billion to fund the purchase. This was followed up by an invite to bid for the program, which is part of the Medium-Term Development Capability Plan (MTDCP) 2013-2017. It was further augmented in late September 2014 when Manila issued another “invitation to bid” document to purchase a pair of ASW helicopters. Where surface ASW is concerned, the PN is slated to receive a decommissioned, ex-ROK Navy Pohang-class corvette by end of 2014, with Philippine defense authorities saying that there is a good chance that the ship would be delivered with all combat systems intact, including ASW capabilities such as hull-mounted submarine-hunting sonar, torpedo tubes, and depth charge racks. Local efforts are also underway to develop ASW capabilities for the PN, for example Project Ilalim (Filipino for “under”) conducted by the Naval Research and Development Center to study and develop indigenous sonar systems for the PN. These efforts to acquire an ASW capability, which is financially and technically more feasible to accomplish in the shorter term, would presage the PN’s eventual acquisition of an undersea capability. For the funding-constrained PN, this represents a logical approach, albeit an incremental one, towards eventually attaining a submarine capability. After all, acquiring ASW knowhow is a crucial first step towards gaining an undersea capability. Learning from Other Regional Submarine Aspirants? While skeptics may be tempted to dismiss this recent Philippine move to acquire submarines, Manila’s plan is no mere pipe dream. The PN is actually taking a deliberate approach in incremental phases to systematically induct submarines as part of the overall modernization effort. This pathway is no different from some other regional navies which had sought to build submarine capabilities from scratch. The Indo-Pacific maritime region is in fact resplendent with national examples, besides Singapore and Vietnam, on how to start from low-base and implement long-term, phased submarine capacity-building efforts. For instance, despite having missed the chance to purchase second-hand German Type-206 submarines, Thailand created a shore-based submarine training center, equipped with a full-size replica of submarine command and control room, to kick-start training and accumulation of basic undersea warfare expertise. Bangladesh, having sent officers abroad for submarine training before it recently decided to purchase submarines, is another instructive example. These examples would not have gone unnoticed by Philippine defense and naval planners. Indeed, ongoing Philippine efforts may well have already taken lessons from these examples. As such, while Manila’s submarine acquisition plan will take time to materialize, it is important not to underestimate its resolve. If anything, the recent disclosure of having taking steps to establish a submarine capability ought to provide a major morale boost to the AFP and send a strong message to potential adversaries. Given sufficient political will and a well-conceived long-term strategy, Manila has the ability to overcome the hurdles it will face in the submarine acquisition process. China and the South China Sea Resource GrabThe Philippines and the West Philippine SeaBack to the Future: The U.S. Navy Returns to The PhilippinesWhy Philippines Stands Up to ChinaIs the Philippines an Orphan?